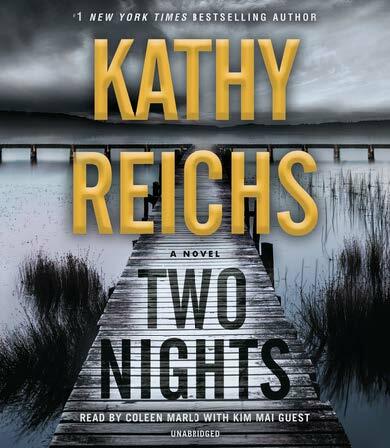 I have wanted to read Reichs' Temperance Brennan series for a long time, but I have other series that I’m trying to finish right now so I don’t want to start another long series just yet. When I saw this standalone, I couldn’t wait to read it. Now I’m wishing that it was NOT a standalone because I want more of this heroine! Sunday Night is a fabulous protagonist. She’s broken to such a degree that she lives in seclusion on an island, only accessible by private boat. She’s an ex-cop, who left the Charleston Police Department after an investigation into an incident where she was injured and had killed the perp. She has a troubled past, and she ended up foster care as a teenager. It is her foster dad who comes to see her to tell her about a wealthy woman named Opaline Drucker, who is offering a significant reward for information relating to a bombing in Chicago that killed her daughter and grandson. Her granddaughter, Stella, went missing after the crime and Opaline wants to know what happened to her. Alive or dead, she wants closure and she also wants the bombers to pay. The case stirs something in Sunday, and she agrees to help. I love Sunday Night! She’s complex and tortured, and I love her wit! Reichs describes how Sunday stays under the radar, and I was fascinated at how her mind works. She’s always two steps ahead, but the culprits know that she is on to them and she puts herself in danger again and again as she closes in on them. There is a secondary point of view told by a female being held captive and tortured, that counts down to an unknown event. This provided me with a lot of angst, and I was way off base and applaud Reichs for this angle to the story. I want more Sunday! I hope Reichs changes her mind and gives us more of her. If not, I’ll be starting the Temperance Brennan series! 4 stars!! It was really good, and you should put it on your TBR list if you enjoy mysteries. Thanks again to Random House Audio for the opportunity to review this audiobook!